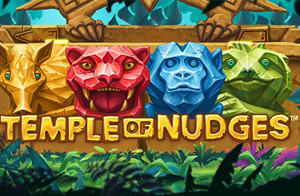 The 5 x 3 video slot game, Temple of Nudges comes with 243 ways to win and is filled with bonus features, besides the nudge feature. You’ll find symbols stacks and re-spins as well, to name just a few. The new slot game is set among exotic flora and fauna, and takes players deep into the jungle in search for ancient gold. • For each winning combination on the reels, the nudge feature is activated. • Following the counting of the win, the reels shift one symbol down and if there is a winning combination, the win is counted again. • As long as there is a winning combination on the reels, the Nudge feature is activated. 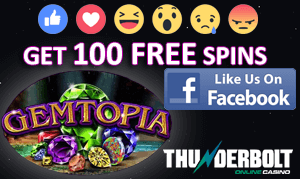 • During the Re-spin Feature, all matching symbols lock on the reels and the other symbols re-spin – for a greater chance of winning.